What's The Differences Between Diacalymene Ouzregui And Flexicalymene Ouzregui? I try to find the differences between them, but I can't. I think its a matter of perspective, whether you think the species ouzregui is in one genus or the other. I think they moved it from Flexy to Dia not too long ago, didn't they? They are the same thing. I believe Flexicalymene is still the correct genus. If I recall correctly, some dealers started calling it "Diacalymene" but there has not been a published revision of the species that assigns it to that genus. Piranha would know for certain. Here is a sample of some species of Flexicalymene and Diacalymene illustrating two of the divergant key features. 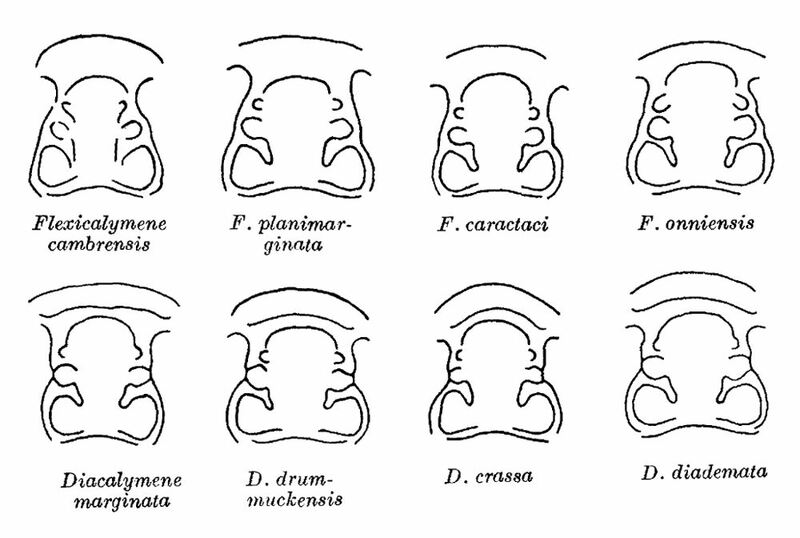 Diacalymene possesses an anterior cephalic "ridge" and the medial glabellar lobes contact the fixigenal buttresses. Flexicalymene from Morocco is often misrepresented online and by various other 'credible' sources as Calymene and Diacalymene. Flexicalymene and Diacalymene did coexist in some selected Ordovician faunas, as did Calymene and Diacalymene in the Silurian, although Diacalymene has never been described as valid genus from Morocco. Early descriptions of 'Calymene' from Morocco have subsequently been reassigned to various other calymenid genera. Thanks for the info!Your post was very informative Piranha.